How far would you go to protect your daughter? No, we're not talking Liam Neeson's latest revenge-thriller. We're talking John Cena, Leslie Mann and Ike Barinholtz in Blockers, one of the funniest, raunchiest movies of the year, and we want to send you to an April 4th advance screening in Toronto, Vancouver, Montreal, Edmonton or Calgary! Blockers is in theatres everywhere April 6th, 2018. Via Facebook: LIKE & FOLLOW our Facebook page and leave a COMMENT on the Facebook contest post to answer the following trivia question: Blockers marks the directorial debut of Kay Cannon, who, in addition to being a screenwriter for all 3 Pitch Perfect films, has also written for several TV series. Name one. Also, don't forget to mention which city you are entering for! Click here to enter. 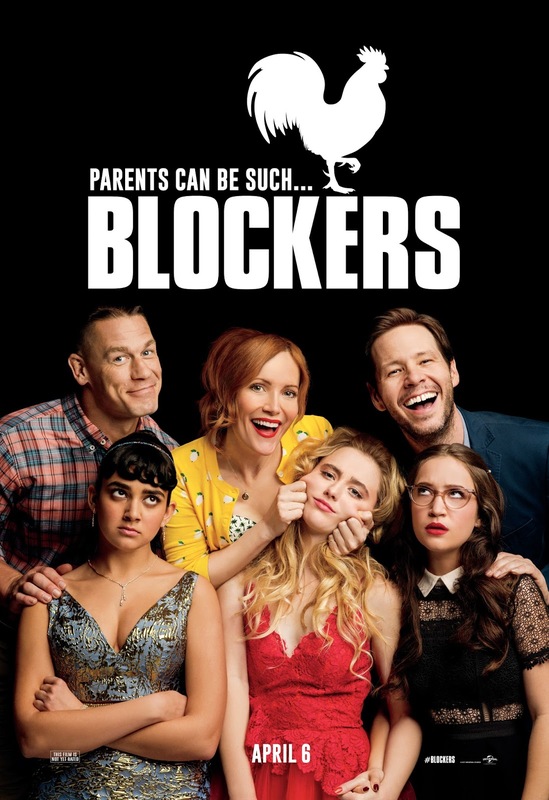 Via Email: EMAIL thereelroundup@gmail.com using the subject line 'Enter Me to Win Passes to see Blockers', and provide your full name, mailing address and email address in the body of the email, as well as the city you are entering for.